Well, please don't crucify or hang me because I am no longer writing regularly. The reason is that I have been busy studying now. Actually, not just studying but also doing other stuff. My co-Pediatrician Dr. Yasser was called away to Zalm for a 14-day substitution duty since the last Saturday. Hence, I have been on call all these past six days. Earlier, an Indian anaesthetist joined us from Khurma. His name, Dr. Paresh Shah. He is working for the past six months at Khurma. He hails from Ahmedabad. I have thoroughly enjoyed his company, and he has been my guest a couple of times. He is a master at vegetarian cooking. 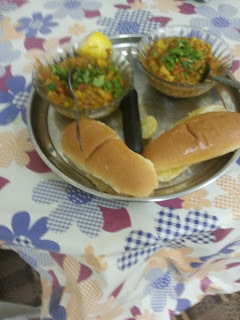 together, we made baingan-ka-shaak (aubergines), and also a pav bhaji (mixed vegetables) in my home during his past visits. 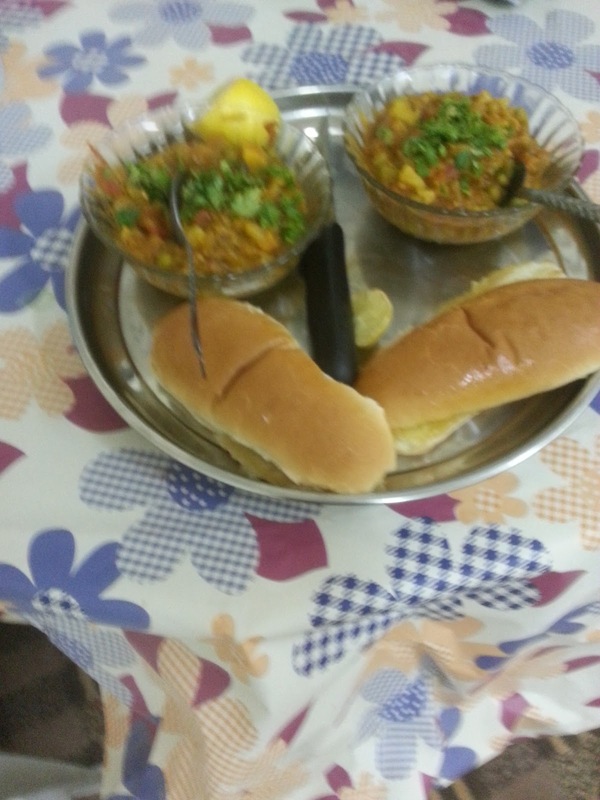 Here are pictures of him cooking the pav bhaji and the final outcome. In other news, I managed to complete all the formalities towards getting a car-driving licence (from Afeef), getting the car transferred to my name, and getting a new vehicle insurance in my name. This makes me an official car owner and driver in the Kingdom, but more, the licence allows me to drive a car in many other Gulf countries like the Emirates etc. The third thing of any consequence to happen was that I began to study a little more seriously for my upcoming exam for Part 2 of MRCPCH. After my purchase of the study package from the online site, I was being pretty sangfroid about it, but now, the pace has picked up. Our study group on FB is also now becoming more and more active and interactive. Hence, there is a positive cycle that is feeding my thirst for knowledge. We are ten members, of whom three are from India, one or two from Sudan, one from Azerbaijan and the rest from Egypt. Of the ten, at least nine are active and are contributing questions as well as answering the queries put up by the other members. In this kind of exam, the best way to study is to keep reading and trying to answer questions. The last thing I want to share is that I have once again begun to write on my writing.com website. This is a poem set to the image that is located inside the poem. It has been submitted to my writing team from India, and if selected, it will represent India at an international writing contest that is currently on at Writing,com. 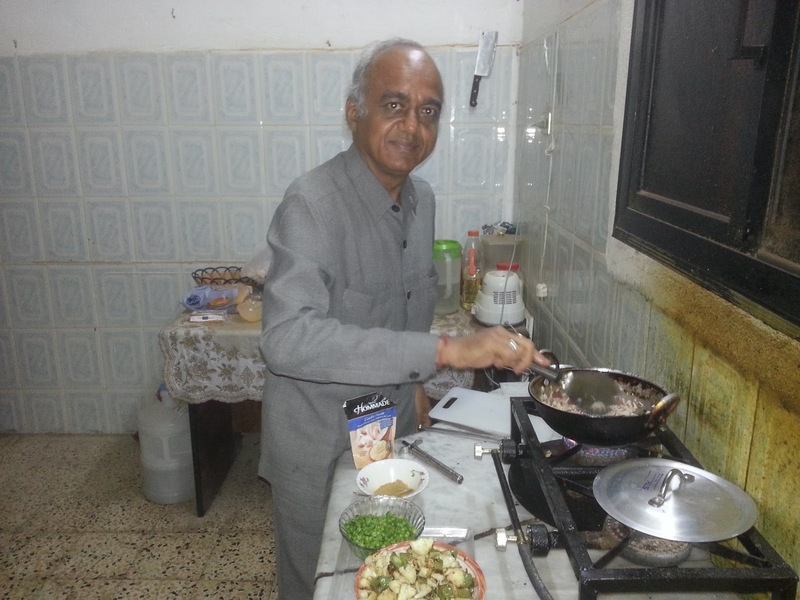 I am so looking forward to visiting India next month ... will be there from mid-February for about 25-30 days. This time, Allah willing, my family will travel back with me to Saudi Arabia to perform the Umrah and to do a visit to Medina. I have been driving my car down the highway of late. The first time, I drove about 18 km towards Ta'if and then returned to my home. This visit was with my ENT colleague Dr. Alaa Ashweh. The second time was yesterday in the company of Dr. Paresh, and we drove about 42 km, to the Um-Adoom bridge and back. Nothing else of note to report. I will end here, and I promise I will blog again soon.